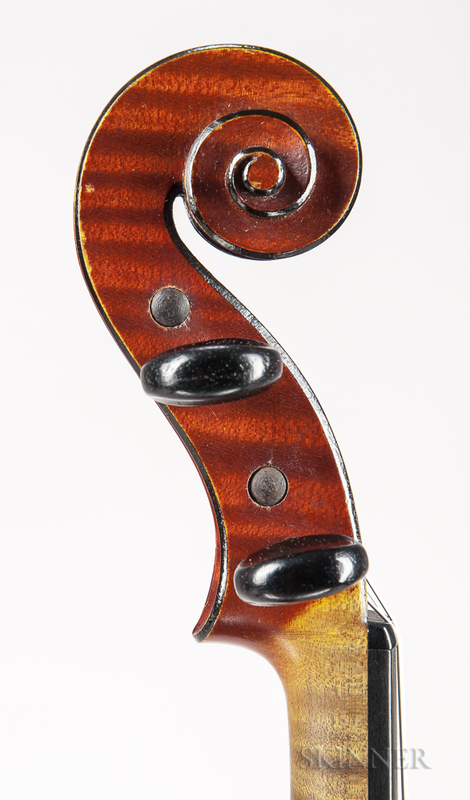 French Violin, Gand & Bernardel, Paris, 1887, no. 1283, bearing the maker's label and internal brands, length of back 359 mm, with case and bow. In very good condition. Wing crack, surface scratches and abrasions.